EV-D68, the newest of the enteroviruses to force its way into society is here, and it’s dangerous. 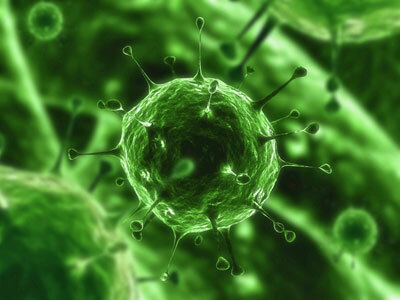 Enteroviruses are not new to us, with more than 100 types causing up to 15 million infections annually. EV-D68 infections are much less common, but have become life threatening to children in the current outbreak. First identified in the mid 1900’s, fewer than 100 cases have been reported until a recent surge of the virus in Missouri and then Colorado. After that, North Carolina, Georgia, Ohio, Iowa, Illinois, Kansas, Oklahoma and Kentucky were soon to follow. An enterovirus produces symptoms similar to the common cold, which then become very intense with little or no warning, at times requiring hospitalization and supportive therapy. 15% of the children hospitalized in a Kansas City hospital were placed in intensive care. Symptoms include coughing and rash followed by difficulty breathing. Fever is often accompanied by wheezing. Supportive therapy is to provide oxygen and when needed, assistance with breathing. This may be necessary within hours of onset of symptoms. This worst viral outbreak ever seen in The Rocky Mountain Hospital for Children, threatens to spread from the current affected states into contiguous regions rapidly. As a result, it made its first appearance in Alabama yesterday. Children with asthma or other chronic respiratory problems who become ill with cold and general upper respiratory symptoms resulting in fever an/or rash, medical treatment should be sought immediately. If wheezing begins, this cannot wait until the following day or even until morning. It is imperative to seek medical attention without delay. To reduce the risk of infection meticulous hand washing is the key, especially after changing diapers. Avoid touching eyes and mouth with unwashed hands, and disinfect frequently touched surfaces such as toys or doorknobs. If feeling ill, stay home unless seeking medical attention.